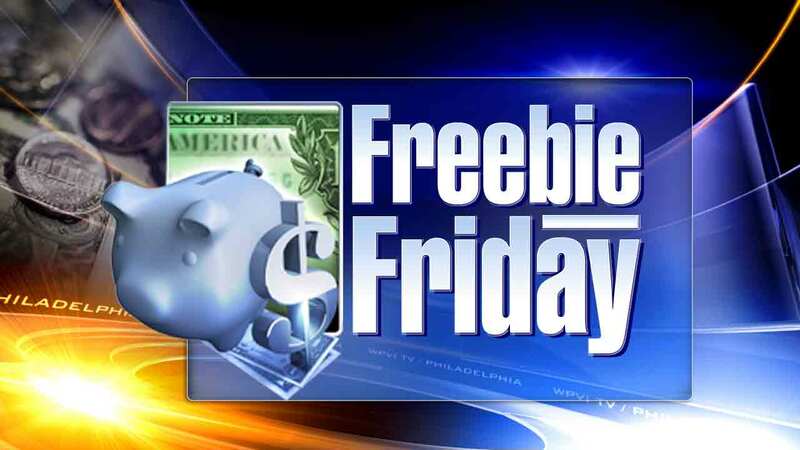 PHILADELPHIA (WPVI) -- Here are your freebies being offered this weekend, April 29-30! Next week, our best bargain gal from Good Morning America, Tory Johnson, is coming to Philadelphia as she takes Deals and Steals on Wheels. She will be at Liberty View Terrace (599 Market Street) Tuesday morning, May 2nd, and she's giving out free tickets for you to be there and appear live on GMA! To reserve your free tickets, CLICK HERE. The NFL draft experience continues through Saturday, April 29 on the Ben Franklin Parkway with tons of free fun for the whole family, from interactive exhibits, immersive games, and virtual reality experiences to free player autograph sessions and more. For all your NFL Draft details, CLICK HERE. The Academy of Natural Sciences of Drexel University is offering free admission to its regular exhibitions throughout the NFL Draft Experience through Saturday. For more information, CLICK HERE. The Philadelphia Science Festival culminates on April 29 with a celebration of science at Penn's Landing. Enjoy free games, entertainment, demonstrations and fun for the whole family from 10 a.m. - 4 p.m. For all teh details, CLICK HERE. On April 28, the citywide star party is happening at locations all across the city. Join local astronomers at 24 different spots to gaze at the stars, contemplate the universe, and discuss the cosmos from 7:30 p.m. - 10:30 p.m. To find a location near you, CLICK HERE. There's a whole lineup of free yoga classes happening at Race Street Pier. From daytime to twilight and even special summer solstice classes, CLICK HERE for a full list of dates and times.